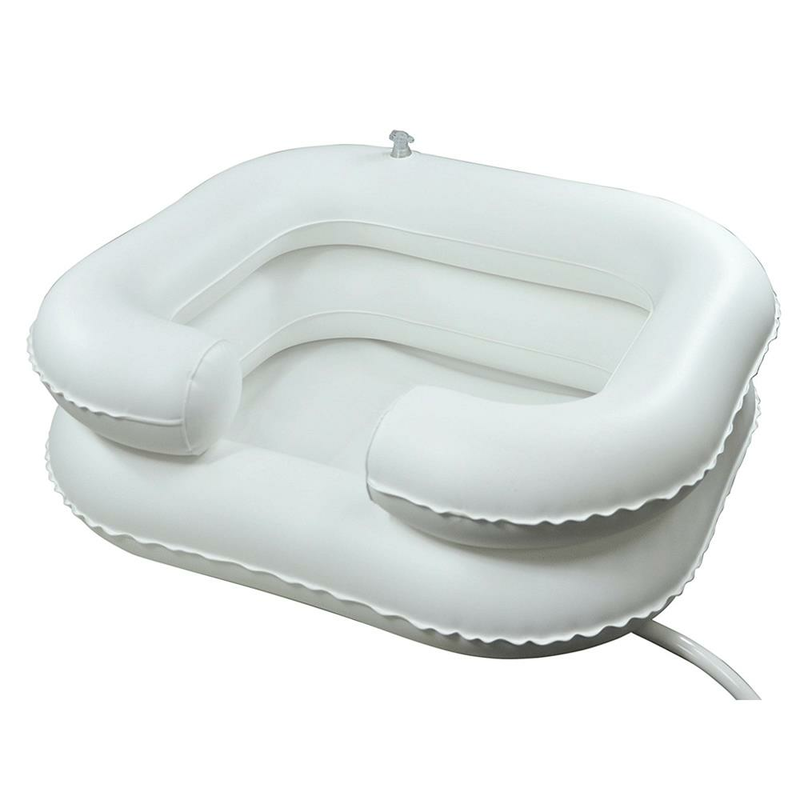 Mabis DMI Deluxe Inflatable Bed Shampooer Basin is ideal for bedridden patients or those with limited mobility. Its design makes it comfortable and convenient. It has a convenient tube attached so you can drain the water into a large basin or the sink if its nearby. 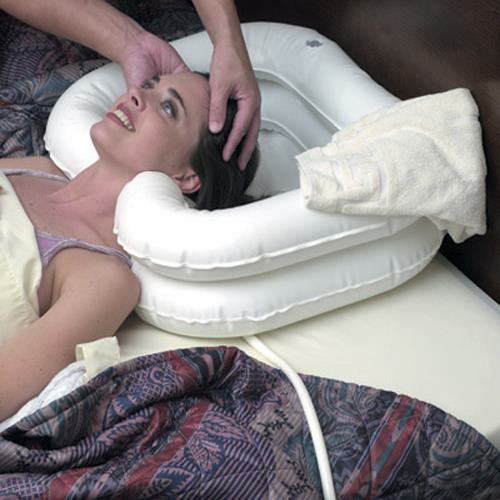 The bed shampooer is constructed of heavy duty vinyl for durability and is easy to clean. It even has a little built-in pillow for the head. Note: The bucket must be positioned lower than the inflatable basin in order for the drain to operate.